This article is about the fan-made computer game conversion/mod. 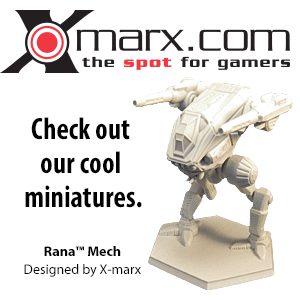 For the MechWarrior (RPG) adventure module, see Living Legends. MechWarrior: Living Legends is an independently produced total conversion modification of the CryEngine 2 game engine (on which the game Crysis Wars is based), and takes place within the BattleTech universe. It can be played using the free Crysis Wars demo, and is distributed as an all-in-one install package. MechWarrior: Living Legends has been in development since December 2006, and was at version 0.7.1 Beta as of January 2013. As of October 27, 2018, the mod has been brought to version 0.10.1 by new developers from its community. Originally, development was done on the Doom 3 engine, with the team switching to CryEngine 2 after the release of Crysis. The next major release after the initial one, version 0.5, dropped support for Crysis in favor of Crysis Wars, and was released in May 2011. The Wandering Samurai team had stated that development focus for the foreseeable future will be focused on the multiplayer aspect of the game, and that while a single player component to MW:LL is desirable, no actual design or planning had been put into it. The final official version, 0.7.1, was released on January 16, 2013. Development by Wandering Samurai Studios halted due to a decision made by the project founders; rumors that this was due to pressure from Piranha Games Inc. were denied. In October 8, 2016, members of the community released version 0.8.0, called the Community Edition, with the intention to revive the game and continue development. Almost exactly one year later, version 0.9.0 (initially designated 0.8.7) was released, featuring a completely new installer and launcher system, a few new weapons, four new assets - the Argus and Cauldron-Born mechs, the Rommel MBT, and the Regulator hover tank - and a few new features such as ammo dumping and manual reload. Update 0.9.2 was released on 5 March, 2018, bringing with it yet another major content release: 0.9.2 introduced the Anubis 'Mech, the Mithras tank, and the Rusalka ASF. It also brought a number of gameplay changes, notably an increasing ticket bleed rate for the Terrain Control gamemode, as opposed to the previous static rate. March 10th saw the release of a hotfix in the form of update 0.9.3, which reverted the network-related changes from 0.9.2 back to those of 0.9.1, fixing networking stability issues like warping. The next version, released April 28, 2018, brought a number of tweaks to assets, gameflow, weapon mechanics, and maps. Moving on to focus on completely redesigning the Battle Armor system and related mechanics, the community development team released update 0.10.0 on October 19th - and shortly afterward, hotfix 0.10.1. Among various tweaks to asset variants and bug fixes, the update added new weapons for Battle Armor (and made changes to existing ones), added two new maps, made changes to how Battle Armor move, made significant changes to heat and ejection mechanics, redesigned the Mad Dog (Vulture) torso and arms, and added a new tank - the Goblin. 0.10.1 fixed several issues that arose with 0.10.0's changes, including a broken in-game economy and various sound and map bugs. These updates set most of the foundation for the rest of the planned Battle Armor overhaul effort. Prior to version 0.4, MW:LL was available only for Crysis. Version 0.4 introduced support for both Crysis and Crysis Wars. With the release of version 0.5, support for Crysis was discontinued, and the modification will only run in Crysis Wars. In 2014, the GameSpy service, which provided the ability to browse servers while in-game, was shut down. In response, the MWLL community moved to a third-party solution called Qtracker, which could emulate the same service GameSpy provided. The Qtracker solution was ultimately integrated into the Community Edition version with the release of the 0.8.0 update. With the announcement by the Qtracker developer that the service would be shutting down on August 1, 2017, due to DDoS attacks, the MWLL community developers moved to their own implementation of such services. The game can now operate independently from third-party services. This change was released in the 0.8.6 patch, alongside a new folder structure. Multiplayer is the main focus of the development team and as such is at an advanced development stage. Multiplayer games use the Gamespy Arcade integrated into the Crysis engine. Connecting to multi-player requires a Gamespy ID, which can be created in-game for free and does not require a valid e-mail. In regards to Gamespy, this service has been discontinued as of early July 2014, leaving many games dependent on it unable to allow their players multiplayer connectivity. A fix to this issue, specifically for MechWarrior: Living Legends, was created by the community in the form of a separate game launcher-server browser that could connect players to popular servers. With the Community Edition release, this fix would later be turned into integration with the Qtracker service, which essentially replaces Gamespy's functionality in every way except the in-game interface. A server can host up to 32 players in one of five game modes: Team Solaris Arena, Terrain Control, Test of Strength, Solaris Arena and Last Man Standing. In Terrain Control, teams battle over capture points on the map in order to deplete the opposing team's tickets, and the game mode uses the same rank and cash systems as in Team Solaris Arena. If a team runs out of tickets, the game goes into a brief sudden death-type setting, where players on the losing team will be unable to respawn. The match will be over either when all players on the losing team are dead or the "sudden death" timer runs out. Solaris Arena brings to life the arena battles on Solaris VII. Players battle each other in arenas like The Jungle and try to get first place by achieving the best overall score, while being commented upon by Duncan Fisher (voiced by George Ledoux). Last Man Standing provides a variation on this; the primary goal here is to become the sole survivor of the round, where points do not matter. In all game modes, players initially spawn as Battle Armor (often shortened to "BA" among players), usually in bases or 'Mech bays that allow for purchases. However, depending on the game mode, only certain bases will have facilities that allow for the purchase of a 'Mech or vehicle. For instance, in Terrain Control, the main bases players start with provide access to all weight classes of 'Mechs and vehicles, while some capturable bases only allow players to purchase weapons for their battle armor. In contrast, Solaris Arena will often only feature bases or hangars that allow the purchase of any class of 'Mech and vehicle (though some community-made Arena maps feature air-only bases). Many maps also include separate air bases allowing players to purchase aerospace fighters and VTOLs to take the battle into the air. Players receive a set amount of C-bills when they spawn according to their rank, with rank being gained as the player gains points through damaging or destroying opponents and capturing control points. Battle Armors are armed by default with a dedicated "BearHunter" AutoCannon (which can, however, be exchanged for a variety of non-dedicated weapons) and a Battle Armor-scale Streak SRM-2. Though the Battle Armor for each side is identical in terms of performance, the Clan team Battle Armor is an Elemental, while the Inner Sphere team uses the Longinus. Both Battle Armor units feature Jump Jets, as well as a secondary weapon pod. When entering a 'Mech or vehicle (not including an APC), all non-dedicated weapons are lost, so players must make sure to keep their "BearHunter" AutoCannon with them at all times unless playing exclusively as Battle Armor. The game features a large list of 'Mechs and Vehicles available for purchase, and many more were planned for future releases by the Wandering Samurai development team. As of version 0.4.9 there were 22 BattleMechs, 9 vehicles, 3 aerospace fighters and 1 VTOL in the game. As of the official last release, version 0.7.1, there were 32 'Mechs, 12 vehicles, 5 Aerospace Fighters, and 2 VTOLs (not including the hidden Karnov VTOL) available. By version 0.9.0, the total asset count grew to 34 'Mechs, 14 vehicles, 7 Aerospace Fighters, and 2 VTOLs. Individual unit customization is not available, but MechWarrior: Living Legends offers several variants of each model of 'Mech and Vehicle for purchase, with different load-outs of weapons, armor and equipment. Unit customization was a planned feature to be implemented in a later release, however the new community developers have stated that this in no longer a goal. 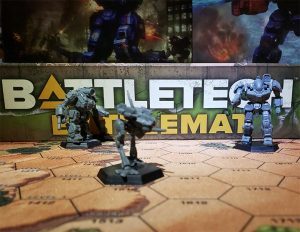 The lore of Classic Battletech plays an integral role to design and development but is often a secondary concern to balance and the "fun factor", a necessity for any multi-player oriented game. This focus on balance can be seen in the weapons configurations of 'Mechs and Vehicles, some of which conflict or ignore canon sources for the sake of balance. For example, the Wandering Samurai team had stated that non-'Mech assets such as vehicles, VTOLs and Battle Armor were made purposely more powerful in relation to 'Mechs, as otherwise they would be far too weak or ineffective for players to want to use in games. Both Inner Sphere and Clan teams are able to buy an APC throughout a Terrain Control or Team Solaris Arena game, with a limit of up to three such units per team. The new community developers have stated that there are more units planned for future releases. Units marked with an asterisk (*) are those which have already been added by the community developers in public releases. All unmarked units were added by the Wandering Samurai team. The following list details the units originally intended for release by the Wandering Samurai Studios developers, which became officially canceled with the cessation of development of MWLL under WSS. Units marked with an asterisk (*) are those that the Community Development Team have since revealed as planned for inclusion in future updates. Those which were planned by WSS and later revealed as planned by the Community Development Team are marked with two asterisks. The Karnov is a special case, in that it is technically playable - if very buggy - when placed in a custom map. Otherwise, the Karnov is hidden and unfinished. A light Battle Armor was also planned, though specifics are unavailable. MW:LL features numerous multiplayer maps based on various worlds within the BattleTech universe. Most maps have both Terrain Control and Team Solaris Arena/Test of Strength versions. These maps range from expansive deserts, restricted canyons and overgrown marshes to snowstorm-ridden valleys and the low-gravity surface of a rapidly spinning asteroid. In comparison to maps of previous and future MechWarrior games, those found in MechWarrior: Living Legends are many times larger, with some as large as 8 km x 8 km in area. The game supports custom maps made in the CryEngine Sandbox editor, which are usually automatically downloaded upon connecting to a server running said maps, provided the server has autodownloading set up. The text in this article is based on the  used under the terms of the GNU Free Documentation License. See the BattleTechWiki's copyright notice. This page was last edited on 1 April 2019, at 02:27.